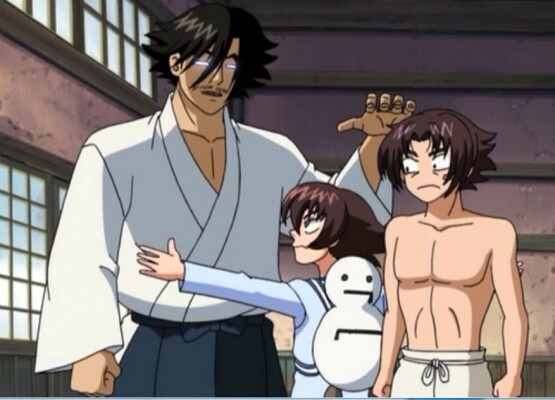 KenIchi: The Mightiest Disciple – (S1-E6) A Day at Ryozanpaku! The Rooftop Dream! Is it an easy day at the Ryozanpaku house but it is time for Kenichi it is a non stop battle as all of the teachers seem to be sending information to the Ragnarok thugs letting them know where Kenichi is at all time this way every day Kenichi gets some tough love as well as some great training. But things get a little rough as one of the head Ragnarock gang thugs appear, a man they call Takeda the Puncher who seems to be a lightning fast puncher with incredible skill and talent of a pro boxer. Kenichi does make a huge decision though which is to now live at the Ryozanpaku so that Kenichi can live and breathe Martial Arts with his masters directly. All of Kenichi’s regular training is going great now it is time to get to the next level before the higher end Ragnarok thugs find him before his training is complete or at least until Kenichi gets better. But Honoka, Kenichi’s sister is very suspect on what is really going on and why is Kenichi really want with the Ryozanpaku house. Honoka is convinced it is not the training that leads Kenichi to the Dojo, but the blond bimbo Miu.